Dubai: On Thursday, during the week that was, Colonel Yusuf Al Odaidi, Director of Al Barsha Traffic, said they received a call from a resident saying that there was a lion cub hiding behind the fence of a house and later in the evening around 7 pm the authorities confirmed that a cub or semi-adult female lion had been caught by a patrolling team of Al Bersha police station. When Police investigated the matter and talked to the people living nearby, they were able to identify the cub’s owner, who lived in one of the villas within that area. 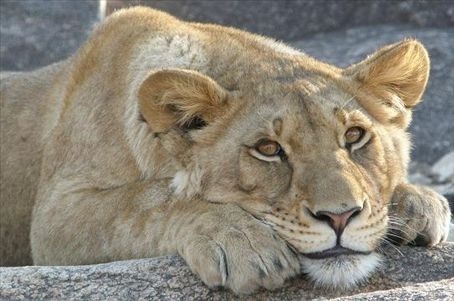 Dr Reza Khan, wildlife specialist with Dubai Municipality, said that the 12-month old lioness is still in shock. He said, the African lioness is under the supervision of Dubai zoo and is in a healthy and stable condition, it will take few more days to get habitual to the zoo environment and its keepers. The cub was taken to the zoo on Friday Morning. Over the next couple of days, Dr Khan will carry out veterinary check-ups, as well as take stool and blood samples to find out more about its health condition. According to UAE federal laws It is an offence to keep big cats as pet.